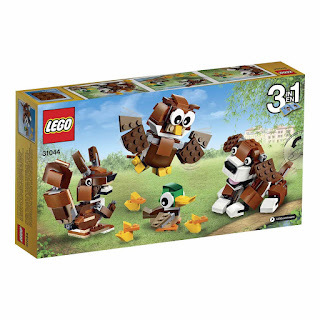 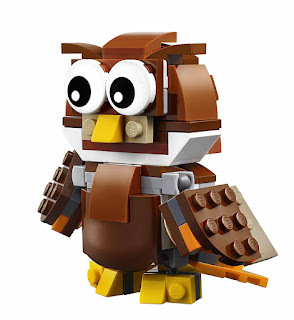 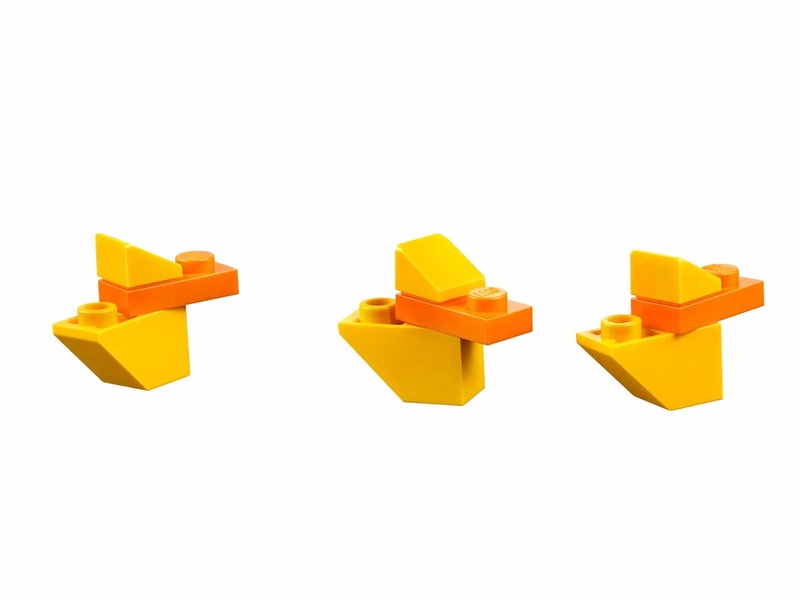 can be built into a dog, a duck, 3 ducklings, a squirrel and an owl. 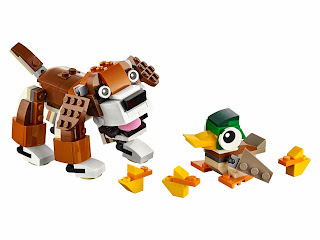 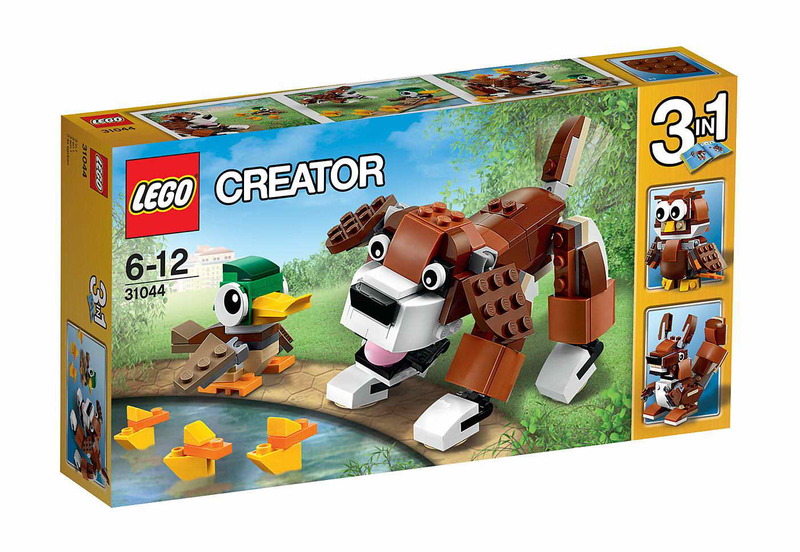 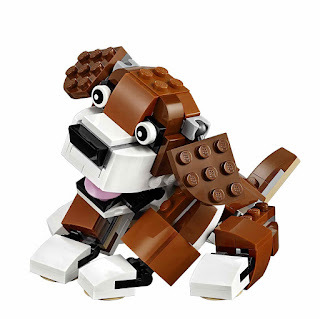 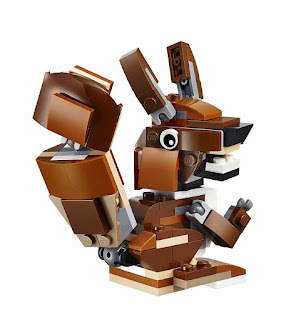 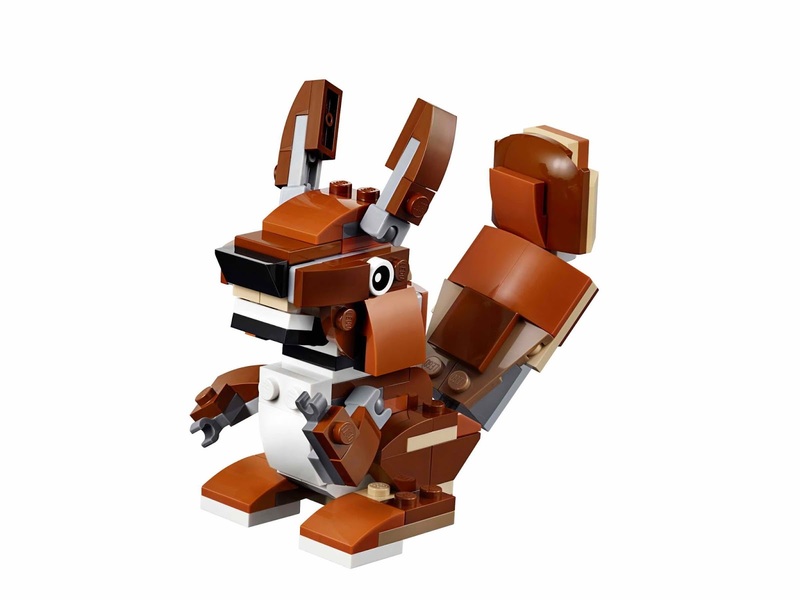 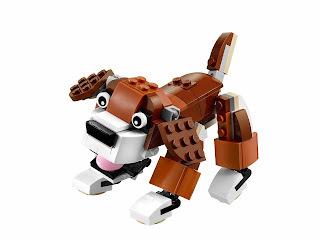 the dog has posable legs, ears, an openable mouth and a brown, dark orange, white and black color scheme. 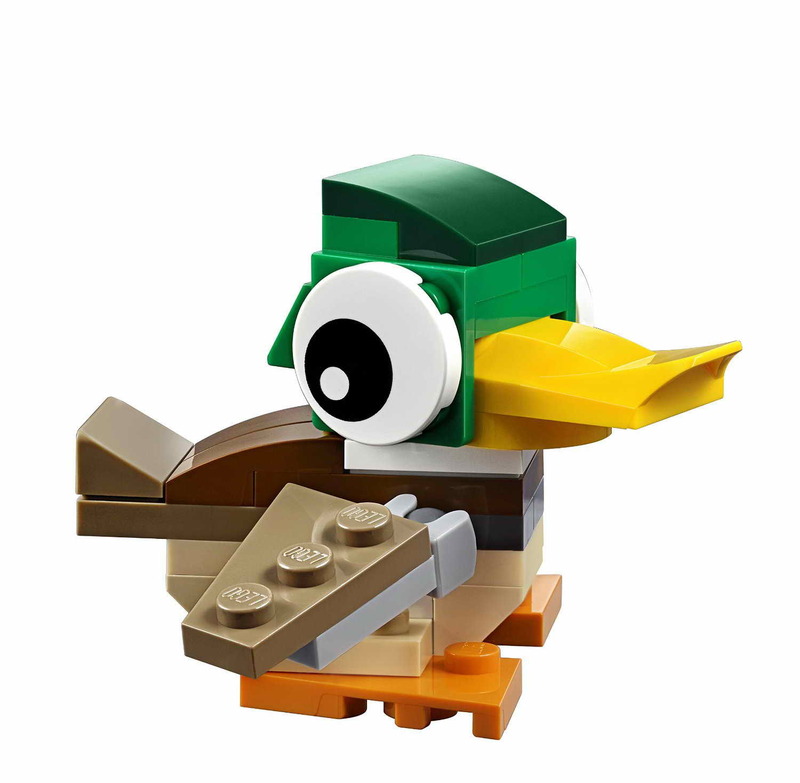 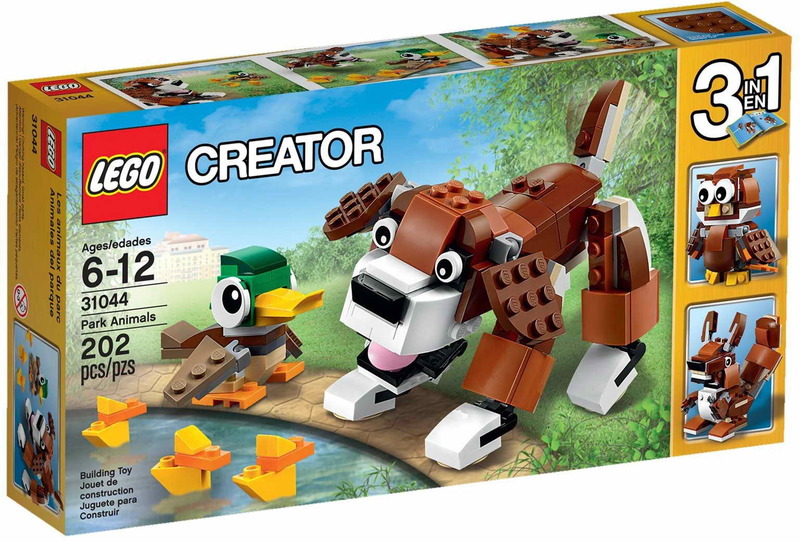 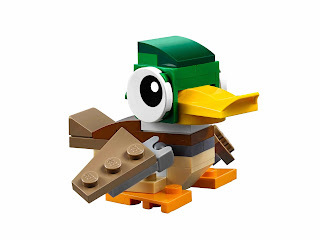 the duck has posable head, wings and a tan, green, yellow, orange and white color scheme.